Our Raphaël test works on every browser except IE 8, which uses VML instead of SVG. 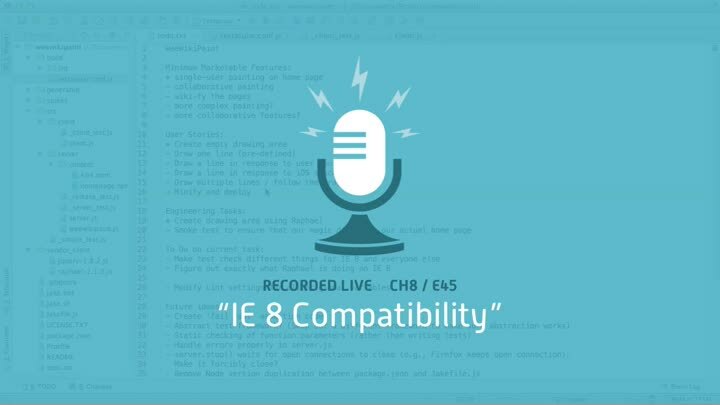 In this episode, we dive into IE 8’s DOM and figure out how to test it. The solution isn’t very satisfactory, but it’s good enough for now.